The L’Iroquois Corkscrew is hand crafted in France by Lignew, is a Bartenders’ Bestie and Wine Sommeliers’ Soulmate. 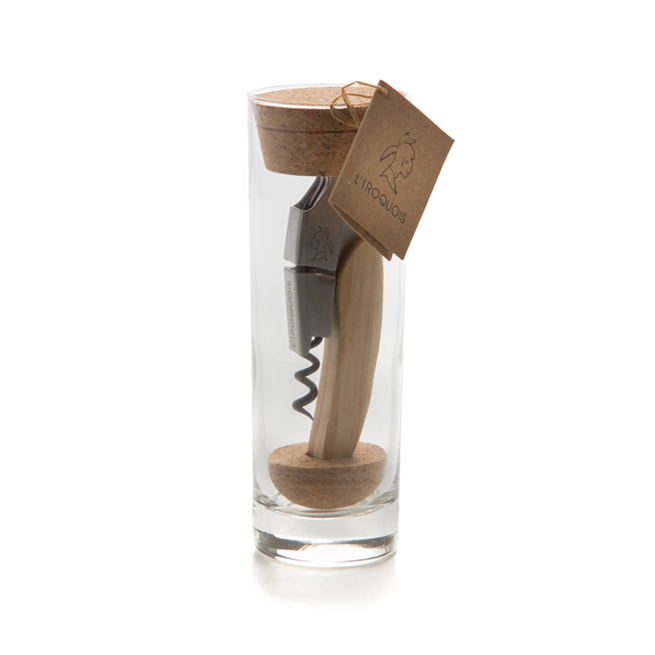 The L’Iroquis features, a teflon, double step corkscrew, brushed stainless steel body, Beechwood handle, all beautifully displayed in a glass and cork presentation. This work of art is wonderful as a discerning gift or indulgence for yourself. This is potentially the last corkscrew you will ever buy.